Danielle Aitken is passionate about the potential of the human mind, and each individual’s ability to transform their outcomes simply by changing their thought processes. She is committed to assisting and empowering her clients to effectively set their goals and achieve their ultimate desires. 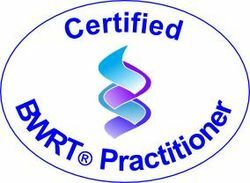 She has worked in the Health industry for over 3 decades in various roles as Registered Nurse, Registered Midwife, IVF Patient Care Co-ordinator, Counsellor and Hypnotherapist and draws on all of this experience in her Private Counselling & Hypnotherapy practice to achieve the most positive results for her clients. This practice is now situated in a new consulting suite in Kilcunda, which allows for more flexible appointment times. All sessions are by appointment only and Danielle can be contacted on 0409 332 052. Danielle utilizes a combination of Counselling techniques, Brain Working Recursive Therapy, Neuro-Linguistic Programing, Regression and Hypnotherapy techniques to achieve optimal results for her clients. She has had great success in effectively dealing with Phobias, Anxiety, Compulsive behaviours, Relationship & Lifestyle issues, Chronic Pain management and Addictions such as; Smoking, Alcohol or Drugs. For more information about the best services for your needs or to organise an appointment - just give Danielle a call!